Today we will show you how to install Nextcloud on Ubuntu 16.04, using Apache web-server and MySQL database. Nextcloud is open source self-hosted file sync and share application forked from ownCloud. It has a lot of extra Calendar, Sync and Contacts features, apart from their file hosting features and it is a great free alternative to some popular services such as Google Drive, Dropbox, Box, etc. It is fairly easy to install Nextcloud on an Ubuntu 16.04 VPS. The installation process should take about 5-10 minutes if you follow the very easy steps described below. – PHP (5.6 or higher) along with the mbstring, curl, zip, xml, tidy, gd and mcrypt extensions. They are most generally active by default on a standard php installation. Next, we need to create a database for our Nextcloud installation. Open your favorite web browser, navigate to http://your-domain.com/ and if you configured everything correctly the Nextcloud installer should be starting. You should follow the easy instructions on the install screen inserting the necessary information as requested. That is it. The Nextcloud installation on Ubuntu 16.04, is now complete. 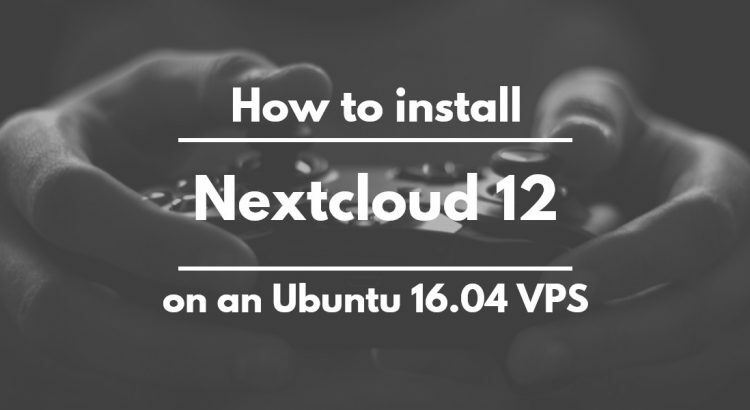 Of course, you don’t have to install Nextcloud 12 on Ubuntu 16.04, if you use one of our Software Installation Services, in which case you can simply ask our expert Linux admins to install Nextcloud 12 on Ubuntu 16.04, for you. They are available 24×7 and will take care of your request immediately. PS. If you liked this post, on how to install Nextcloud 12 on Ubuntu 16.04, please share it with your friends on the social networks using the buttons on the left or simply leave a reply below. Thanks. Please check if the proper .htaccess file is in the data directory and make sure that .htaccess is actually enabled. Is this really the only way? Isn’t there any kind of repository (like owncloud)? For more information and installation options please refer to the Nextcloud Admin Manuals installation chapter. Thanks.